Work Better, Not Harder: Original Content Makes YOU Unique! Original Content Makes YOU Unique! Do you really need any more information than what you’re already getting? Do your readers? 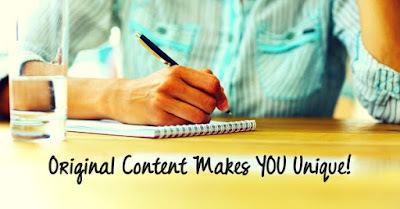 How do you compete with ALL that content that’s readily available? You give them something they can’t get anywhere else! The execution is maybe not so easy. Developing original content requires energy and inspiration. 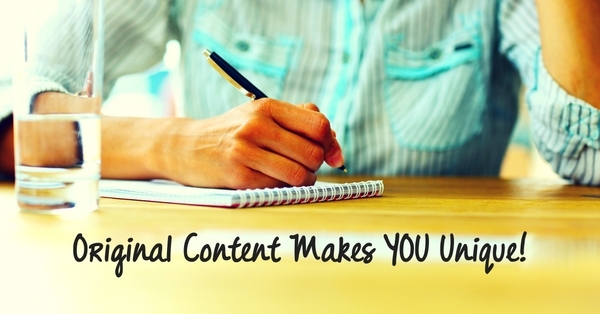 Plan your content in advance - even if only in your head. Take advantage of inspiration when it comes because it often won’t at midnight when facing a deadline. So, what if you can’t write, sing or dance? (That I strongly doubt, but let’s pretend.) Does it mean you have nothing to share? Not by a long shot. Think context. It may not be original content pieces - it might be the way you arrange them, the context in which you present them, or your opinions about them. ‘Curate’ has become a common word in relation to content management - to pull together, sift through, and select for presentation. That takes skill, and the way you do that can be unique too. Our own strategy for our newsletter has 3 key parts. One is to provide original resources/ideas. Another is to provide well-curated content of interest to our readers. What’s left? That well-curated content comes from our contacts. The final piece of our strategy is to build community and connections among small business folk. Give lots of consideration to your goals. Your content development strategy will be different than ours. The strategy you develop can also make you unique!